Before when I stumbled upon an interesting website which I want to save for later reading, I send it to my email. Whenever I want to access the link again, all I need is to open my mailbox. One thing that makes this approach ugly is it clutters my mailbox and I end up deleting them to make my mailbox organize. Fortunately there is an easier way to store links for later use and it is called Kippt, a website tool that was created to share links between devices and friends. 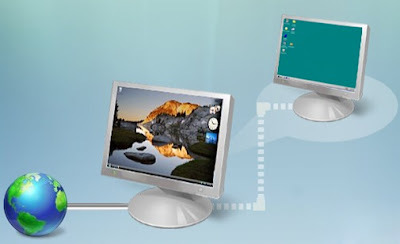 You can quickly access Kippt practically on any internet-enabled device such as PC, iPhone, iPod, iPad, Android and etc. When reading internet articles, we sometimes encounter person names that are not familiar to us. 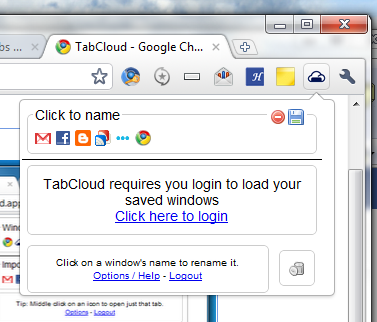 To know about the person we usually fire up another tab/browser and manually search for the name in Google or Wikipedia. With a Firefox Add-On called People Lookup, learning about that person is only a right-click away. People Lookup lets you quickly look for people's information just by highlighting the name on a page and the right-clicking to search for them across Google, LinkedIn, Wikipedia, Facebook, and more. Results are opened in new tabs. 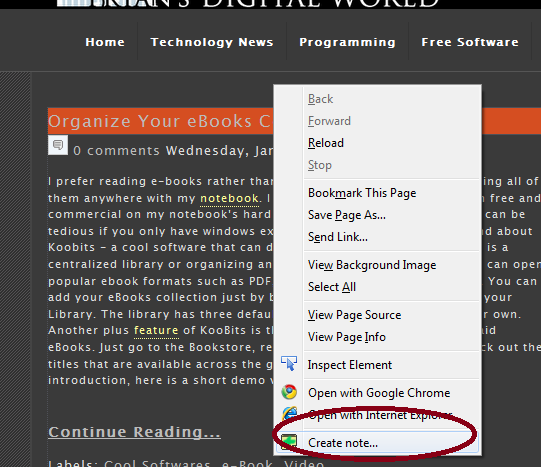 As I posted here, you can use Float Notes Add-On to post sticky notes on websites in Firefox. 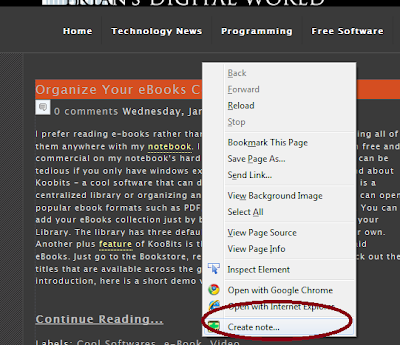 You can add the same functionality to Chrome browser with the extension called Note Anywhere. 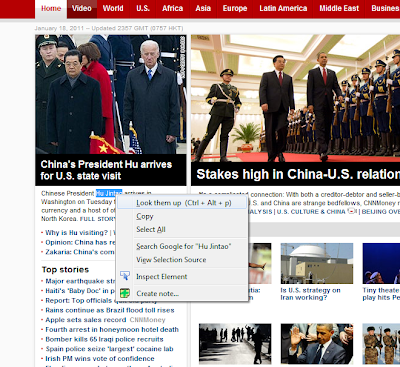 With this extension installed, you can post notes on any web page you visit. When you revisit the same page in the future, the notes get reloaded automatically. The extension adds a small sticky notes icon to the Chrome address bar and a clicking on it would add a new sticky note to the web page. One of my dream travel destination is the Arctic. 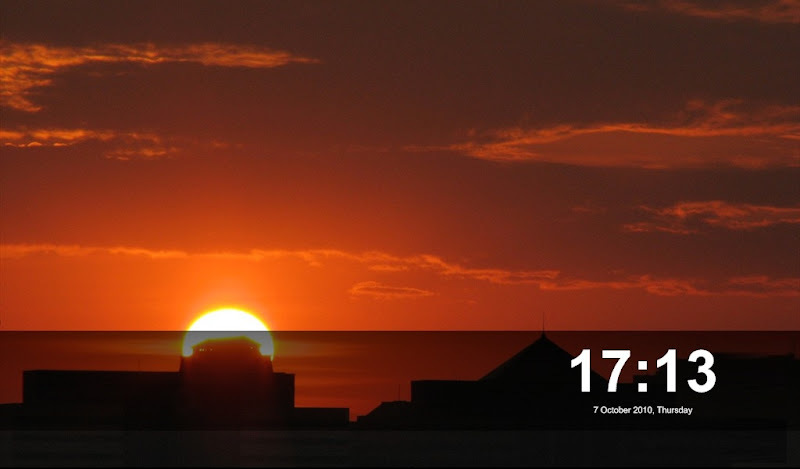 I want to experience the weather and capture the landscape with own my camera lens but for now I have to settle for a desktop theme. You can now download the newest theme called the Arctic from Windows 7 themes website. Here is a followup post on my newly acquired Android device. At the office, I tried to connect it to our WIFI connection. It got connected with no problem but when I started browsing, the page won't appear. Immediately I already know the problem, I have to set the browse to use a proxy server. 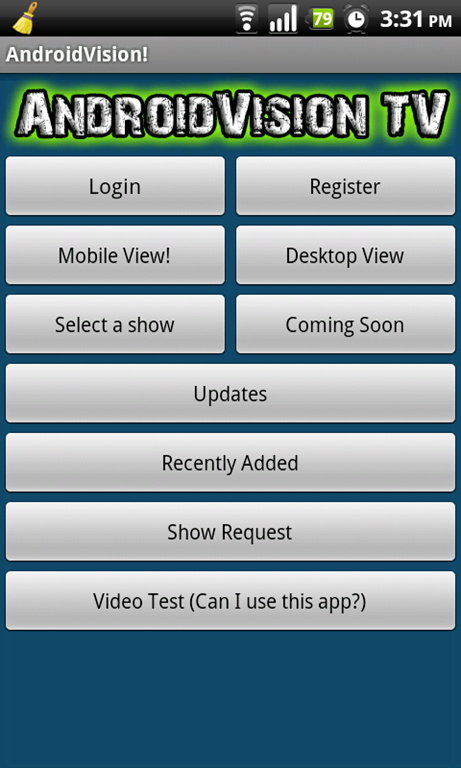 Unfortunately for me, Android browser does not have such settings (at least for Android 1.6). So after searching for answer, I found an alternative one. Instead of using a DHCP dynamic IP, I have to use a Static IP that is outside the firewall so the browse won't need a proxy to be able to browse. Here is the demonstration video. On my last post, I introduced you to a web service that allows you to locate a geographic location by phone number. 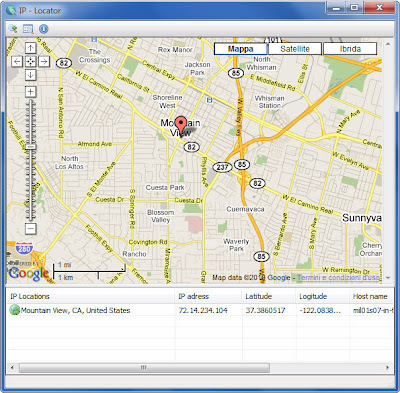 Another way to find geo location is by IP address. 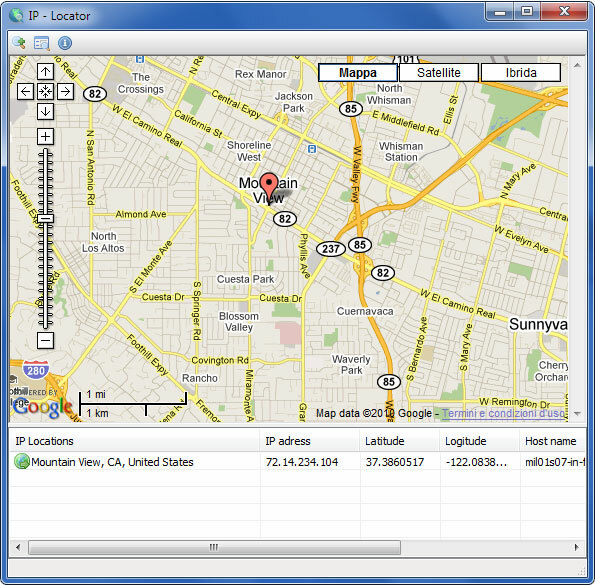 There are lot of IP location web service where you can provide the IP to locate it on a map. IP Locator provides similar service but it comes as desktop software. 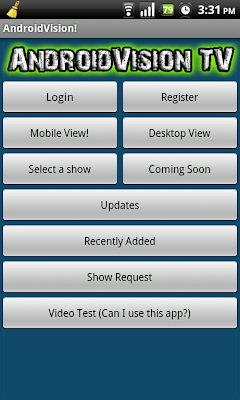 From the toolbar click Add button and enter the IP you want to find. Wait until the software retrieve and load the geographic information at the bottom of the window.